I had three which I considered. 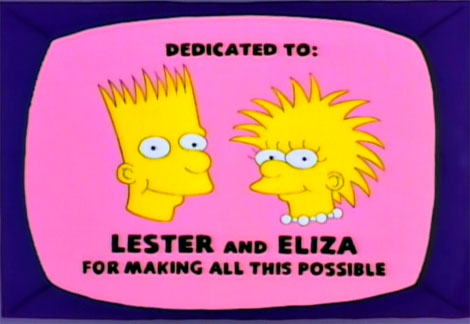 Alongside this episode, I considered ‘Marge Be Not Proud’ (An episode whereby Bart stole a computer game) and the final episode of the Season, ‘Summer of 4ft 2’ (Lisa gaining some new friends when on Holiday, including Christina Ricci). Personally, (possibly because I just bought the Blu-Ray of Pulp Fiction) to see reference to such a favourite film of mine was great to see – and the concept of 22, roughly-1-minute-films, crammed into one-episode was daring and brave. But worked! Written by vitually everyone involved in the series (the credits completely dominate the screen in the first minute of the episode), it was inspired by a add-on sequence at the end of a Season 4 episode: ‘The Front’. 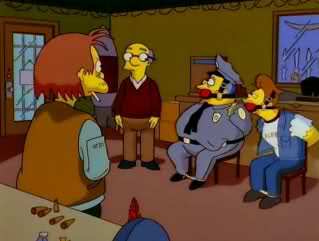 In ‘The Front’, an extra minute of the episode became ‘The Adventures of Ned Flanders’. This segment combined with Pulp Fiction became the basis for the episode, with multiple skits ‘introduced’ with titles (E.g “Cletus the Slack Jawed Yokel”, “Skinner & The Superintendent” and “The Tomfoolery of Professor John Frink”). This is what The Simpsons can do so well. Taking something ‘of the time’ and twisting it into a parody. It is one thing if you turn a single parody into an entire film – Date Movie, Epic Movie et al – but, in one twenty minute episode, with characters we know and love, it becomes so much fun. The stories are endless. A great plot which we come back-and-forth from is Lisa who has bubblegum thrown in her hair while Marge’s ‘solution’ is to add more – peanut butter, mayonnaise, etc. 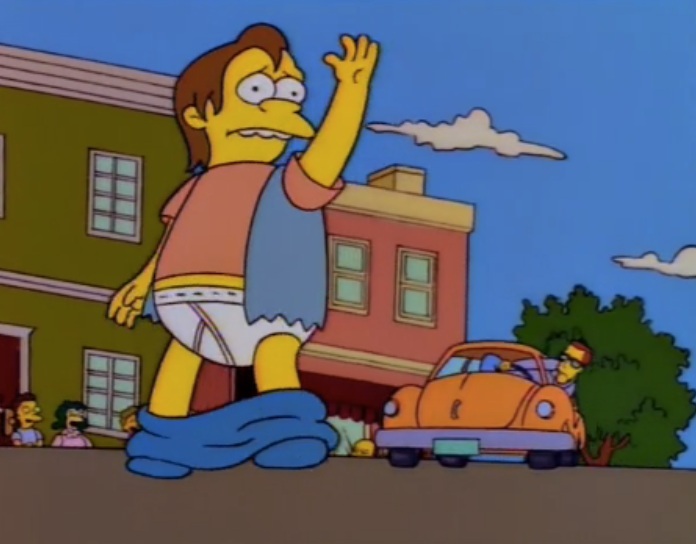 My favourite character remains as ‘Comic Book Guy’, and we see him briefly as Milhouse desperately needs the toilet and hopes the comic-book shop will let him use the toilet. I can’t list them all here, and it is the fluidity of the episode which makes it so strong. Not to mention how they flip-around the Nelson ‘Ha-ha’ joke to completely destroy Nelson. Lou: Uh, the McDonald’s. I, I never heard of it either, but they have over 2,000 locations in this state alone. Eddie: Must’ve sprung up overnight. Lou: You know, the funniest thing though; it’s the little differences. Lou: Well, at McDonald’s you can buy a Krusty Burger with cheese, right? But they don’t call it a Krusty Burger with cheese. Wiggum: Get out! Well, what do they call it? Lou: A Quarter Pounder with cheese. 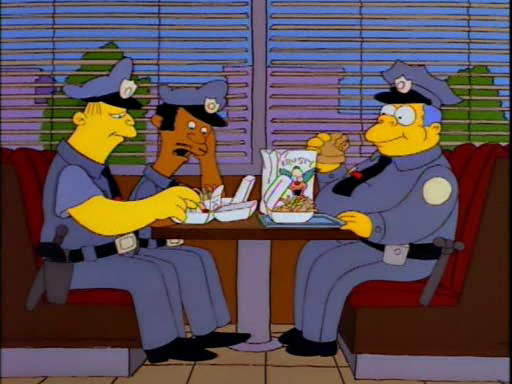 Wiggum: Quarter Pounder with cheese? Well, I can picture the cheese, but, uh, do they have Krusty partially gelatinated non-dairy gum-based beverages?